Changing the belt on an Aquarius Hotpoint tumble dryer is a fairly easy project that can be completed in less than an hour. 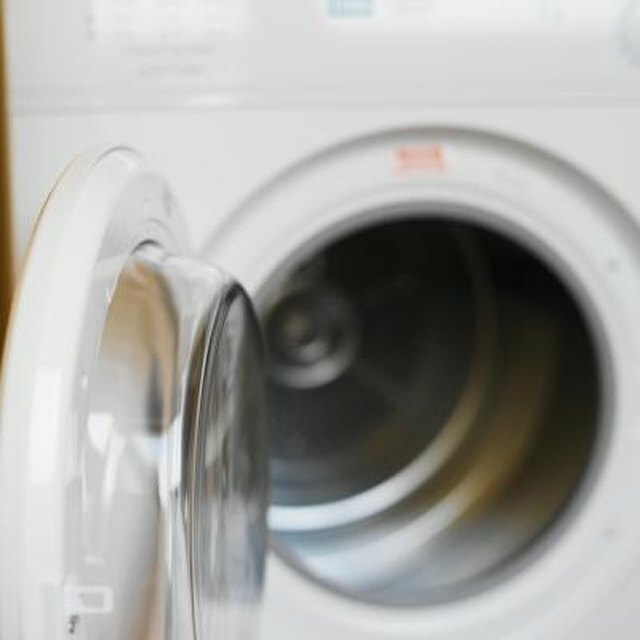 The tumble dryer is one of the most common dryer types, with hot air vented through holes in the drum to dry the wet clothes. The Aquarius model uses many of the same interior parts and designs as other Hotpoint models, and you can take it apart by removing a few screws to access the belt. Unplug the electrical cord of the Aquarius Hotpoint tumble dryer from the electrical outlet before attempting to replace the belt. Pull open the dryer door, locate the screws on the underside of the top lid and remove the screws with a screwdriver. Flip the top lid of the dryer back so that it rests against the wall and find the screws that secure the front panel at the top on the inside of the cabinet. Unfasten the screws with a screwdriver and tilt the panel away from the dryer cabinet to unplug the door switch connector from the back of the panel by hand. Remove the front panel from the dryer cabinet, setting it aside, and locate the idler arm and motor on the bottom of the cabinet. Move the idler arm forward to relieve the tension on the belt, and take the belt off the idler arm, motor pulleys and from around the drum, removing the belt from the dryer. Place a new belt around the dryer drum and loop it over the idler arm pulley and around the motor pulley, letting the idler arm move back into place to apply tension to the new belt. Check the new belt to verify there are no twists in it and that it is lined up correctly around the pulleys. Place the front panel back onto the dryer cabinet, attaching the door switch connector to the back of the panel by hand, and secure the panel at the top with screws. Flip the top lid back over the the dryer cabinet and secure it with screws on the underside of the front lip. Plug the electrical cord of the Aquarius Hotpoint tumble dryer into the electrical outlet. Always unplug the electrical cord of the Aquarius Hotpoint tumble dryer from the electrical outlet before attempting to replace the belt.